He seems determined to get us to use him for all our insurance needs. I told him that would be fine; we’re always trying to get a good deal. I doubted he could offer something comparable to what we have now since it’s already such a good deal. He called again Friday and told me his quote, and suggested that we review the copy he’d be sending in the mail. That’s good, because I don’t make big decisions like that over the phone; my husband and I like to research the numbers and ask around for opinions on customer service. I also look at companies like NetQuote, Geico, Esurance, and Progressive to make sure I’m getting a fair deal (compare rates and get tips on how to save at our post on how to save money on car insurance). Bodily Injury ($100, 000/$300, 000): We need to coverage to protect us from medical bills and lawsuits from any injuries or death that are our responsibility. North Carolina has a lower requirement for bodily injury ($30, 000/$60, 000), but we believe medical bills can easily top those amounts so extra coverage is important for us. Property Damage ($100, 000): This coverage will pay for any property we damage (such as to someone else’s car) due to an accident. This amount reflects the maximum paid per accident; we think $100, 000 should be enough to cover these expenses. North Carolina only requires $25, 000, but we think that is too low. We could save money on our premiums if we went lower, but we’d then be responsible for anything over our coverage limit. 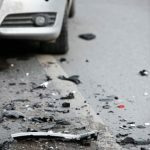 Uninsured Motorist Coverage ($100, 000/$300, 000/$100, 000): If we get into an accident due to the other driver’s fault and they don’t have insurance, then this protects us and our property. 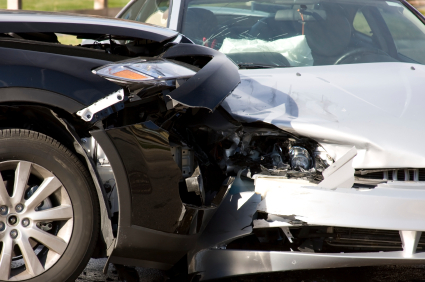 Collision: Collision coverage can help when your car is damaged and is in need of repairs. It also includes repairs if your car is broken into. We currently only have collision for my car (2000 VW Jetta). If you have a car loan, most lien holders will require collision, but it’s optional once you pay the loan off. Since collision typically pays up to the value of the car, having coverage for my husband’s car (a 1994 Acura Integra) didn’t make financial sense. Coverage-wise the new offer looks about the same, but I noticed that our current policy is has slightly lower premiums. While reviewing the new policy, I noticed it was lower than what he had been quoted by the same agent months before, and I wanted to know why. I noticed that we now qualified for more discounts. Besides having a multi-car policy, we were now having a multi-policy discount with this insurance company. After getting some more information on our cars, he included discounts for having car alarm systems installed, and we also qualify for something called NC Tiering Program. Beyond the above, you can also get a better rate though big things like not having any accidents as well as little things like having a clean credit report. With everything included, our 12 month car insurance premium would be around $775/year or about $65/month. It’s definitely in the ballpark with our current policy so we’re considering it. One thing in favor of the new policy is that it would simplify things a bit, as we’d only have one insurance agent. Besides price, we’re also looking at any extra benefits of the policy. The car insurance policy the new agent quoted has lower deductibles ($500 instead of $1, 000), but our current policy has towing and roadside assistance included with no additional charge. The new policy quote doesn’t include towing on it, so I’m going to ask the agent if that’s an additional charge. We’ve already used the roadside assistance with our current policy a few times, so we’re definitely interested in keeping it. While celebrating our anniversary, for example, our car got stuck in the mud. All it took was a quick phone call to get a tow truck dispatched, and there was not out-of-pocket expense. 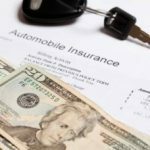 How do you save on car insurance? Now that you’ve heard about our situation, I want to hear about your tricks for shopping around for car insurance and getting a better deal. What tips do you have for saving money on car insurance? Please let us know by leaving a comment. I’m currently with my mother, and we’re paying around $900 / year on our premium for 2 vehicles for the 2 of us with 21st century. I’m a 22 year old male; I have been driving for 6 years; I drive an ’05 Hyundai Elantra. Would it be cheaper for me to shop around for my own insurance? She believes that I don’t need as much insurance as she does because I do not own property. If so, what kind of insurance should I be looking for? I would greatly appreciate the help! Very interesting about Wisconsin requiring UI/UM BI but no PD; learn something new every day! Illinois does give you the option of UMPD; you may also reject it. In many states (incl MD, DC, VA, and NJ – the states I am most familiar with), UMPD is a required coverage. So, I guess I’ll amend my earlier comment to be clearer: Uninsured/Underinsured Motorist Bodily Injury coverage will not cover your vehicle. If you are required to/can opt to have Uninsured/Underinsured Motorist Property Damage, that coverage will cover your vehicle. I live in Wisconsin. In my state, it is illegal for the insurance company to offer any form of uninsured/underinsured coverage for property damage. In the state I lived before that, Illinois, it was not covered there either. The un/underinsured coverage is only good for non-property expenses. @Mike — First, what state do you live in??? Second, I’m commenting because you’ve offered bad information. Your car is considered property. The way UI/UM PD coverage works varies from state. Some states have a limit for your own vehicle, some states will cover the full value (up to limit on policy). Most states have a deductible. Some states cover damaged property inside the vehicle (this is rarer). Things get even trickier when it’s a hit-and-run. In some states, you’ve got to have a disinterested witness. In others, you can claim it with no problem. In still others, good luck. Bottom line: Everyone should read their own policies and talk to an agent to be clear on exactly what a policy covers. I check my car and home insurance yearly and move when necessary. When I first got my car at 19, I was on my mom’s insurance with 30,000/50,000, liability only for a 1991 Toyota corolla paying $700/ 6 months, I now have a 2003 Toyota corolla with 100,000/300,000 and collision and comprehensive for under $700 for the year. I will be switching this year, again because I found the same insurance for $150 less. I don’t have a nice thick book in front of me of traffic stats, but from my own personal experience, 50% of all my accidents (1/2) have involved me being not at fault and the other driver not being insured. @ChucklesMcgee: The variables for your uninsured motorist equation can vary greatly. I can’t speak to your location or to North Carolina, but here in Houston, TX, I believe the number of uninsured drivers is significant. The advertising for low-cost/state minimum auto insurance (insurers such as Safeco, Fred Loya, Safe Auto, etc.) on billboard, radio, and TV is quite high compared with other locations I have lived (Iowa, Illinois). By my logic, if there weren’t a market of currently uninsured drivers, then this advertising wouldn’t be needed. Also taking into account that a majority of drivers in Houston are poor drivers (in less than two years living here, I’ve had one driver run a stop sign to t-bone my car and had two near-rear ends from drivers not seeing me brake), the equation quickly goes from “very improbable” to “not likely, but possible”. I disagree with your decision to purchase higher coverage than the state minimums. All of insurance works on the principal that for any given plan, the average customer will end up paying far more to the insurance companies than they’ll receive in terms of claims. For something like health insurance, where a lack of coverage means far greater costs (no negotiating power from insurance) and possibly death, it makes sense. For car insurance, where there car insurances companies don’t negotiate for lower total repair cost and a lack of coverage means a broken car or a bill, it doesn’t. 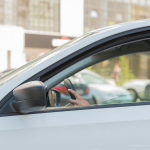 Unless you consider yourself to be a worse or more dangerous driver than the information you’ve provided to the insurance companies suggests, excess insurance is unlikely to be worth it. Uninsured motorists coverage- probability that you’re in an accident* probability that the accident is not you’re fault* probability that the other driver is uninsured= very improbable. The cost of such an accident uninsured? Well, you have health insurance, so the only damages you’d incur would be to your car…why would you have 100k of that? And besides, you’d sue anyways to collect. “We could save money on our premiums if we went lower, but weâ€™d then be responsible for anything over our coverage limit.” Yes precisely. The expected costs you’d incur over your coverage limit are far less than the marginal cost of your increased insurance premiums over your lifetime. It’s rational then to drive with the minimum legal coverage. Of course we’re a risk-averse bunch…. Don’t own expensive cars, raise the deductible as high as you can stand it, drive very carefully, and don’t live in NJ. That’s what works for me. I partially agree with Seth. Owning a car is expensive. I should know, I own 4 of them right now. However, something that is very interesting is that my insurance rates of owning 2 cars is LESS than owning 1 car. Why? Because one of the cars is a sports car with very high rates and the cost of having insurance on a 2nd car and making the 2nd car my primary one (instead of the sports car) more than makes up for the difference. In short, owning a car is expensive in a number of ways. The most direct way to limit those expenses is to not own one. @Seth, you did get something out of the money you paid. A promise that if you hit someone or someone hit you, the insurance company would pay. Just because you didn’t have an accident, didn’t mean you didn’t waste your money. You would be singing a differnt song if you had been involved in an accident. Laws may vary by state, but generally if you have to register a vehicle (such as a motorcycle) you generally have to have insurance. @Laura, if someone breaks into your car and damages it or steals it, that would fall under Comprehensive (Other Than Collision) coverage, not Collision. It’s not something you have to have, but it’s generally not that expensive. You did the right thing in comparing apples to apples, many times people don’t and end up with lower coverage than they had before. Uninsured Motorist Coverage does not cover any of your property. I was involved in an accident (no fault of mine) and the driver that hit me (100% at fault) did not have insurance. None of my personal property that was damaged (within the car) was covered. The car I was driving was totaled. The car was covered, but not by the uninsured motorist coverage but by the collision coverage instead. Hence, if collision coverage was not on the policy, the car would not have been covered by uninsured motorist coverage. I save money on car insurance by not having a car. After an interesting insurance incident I’ve decided that those companies don’t have my best interests in mind. All money I had been spending on insurance had been a waste. There are other modes of transportation that do not legally require insurance. Motorcycle, ATV, Mini Truck, Moped, Bicycle, Bus, etc.